The Committee of 100 has selected 6 new members to join its YP organization of 50 local young professionals active in community leadership and political issues. 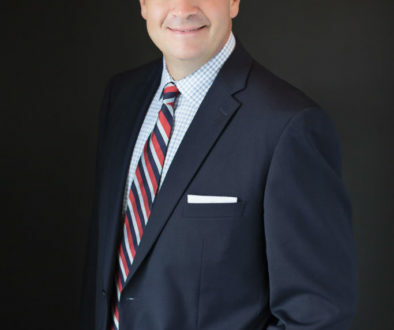 A group of 240 CEOs and professionals, the Committee of 100 focuses on economic development and public education issues and projects, in addition to supporting candidates for local elected offices. YP members receive training in community and political issues, and are mentored by other members of the Committee of 100. 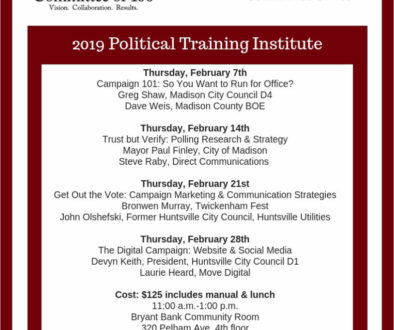 Committee of 100 YP sponsored its 5th Rock the Vote event in February 2016 at Campus 805 for all area young professionals to meet local political candidates and register to vote. Bree Wilbourn, Attorney, Grace, Matthews & Debro, LLC, is Chair of Committee of 100 YP. 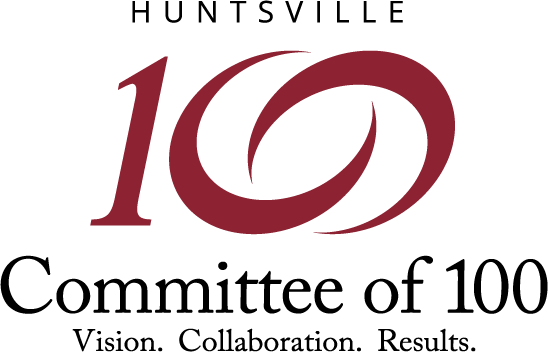 A full list of members is available at www.huntsvillecommitteeof100.org.